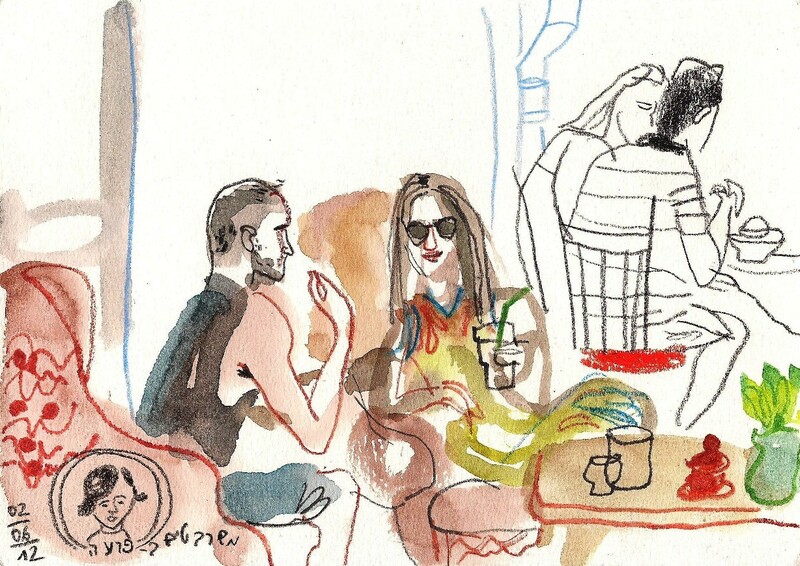 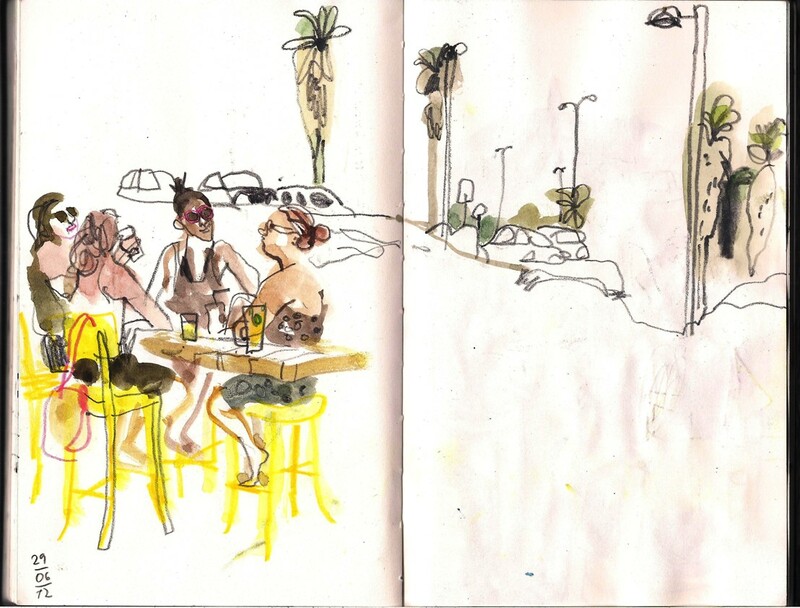 Then we moved to Alma Beach bar, at the back of the fancy MantaRay restaurant, continuing chatting and sketching. group of chatting and drinking girls - the perfect spot! What can I say? friends+beach+sketching=happiness!!! 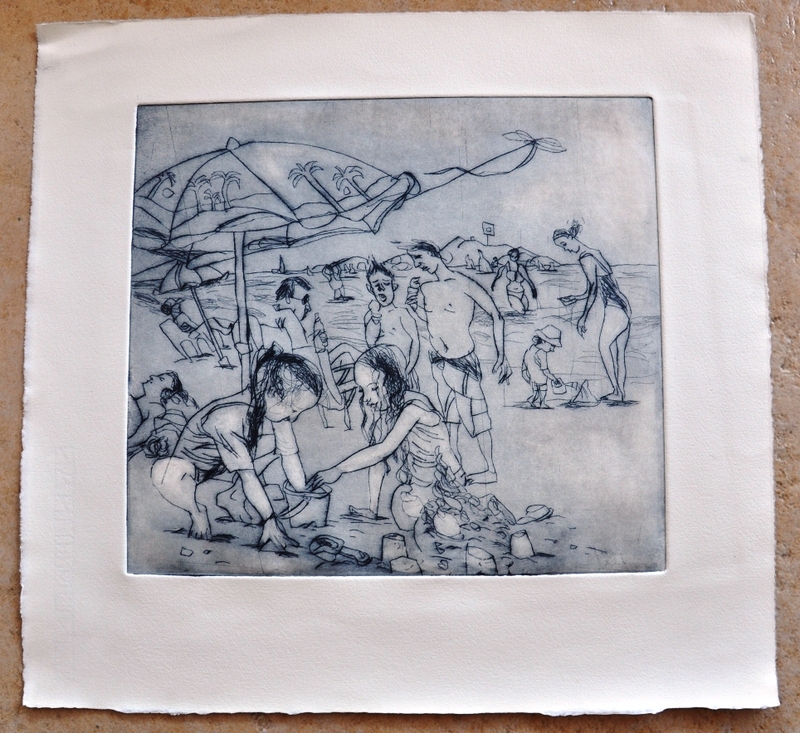 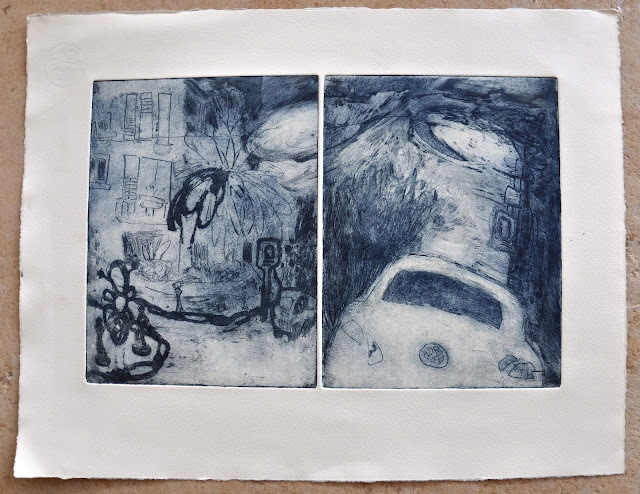 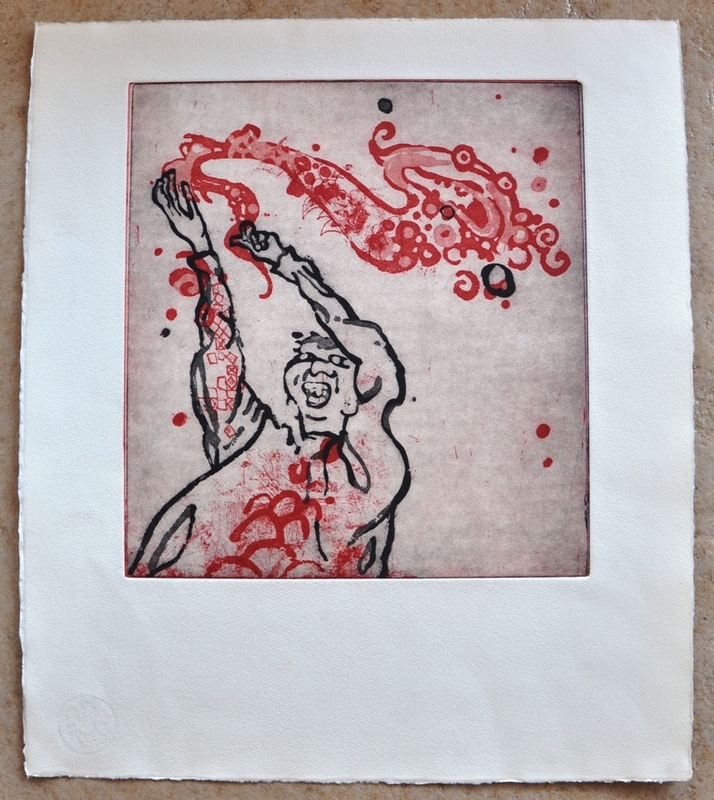 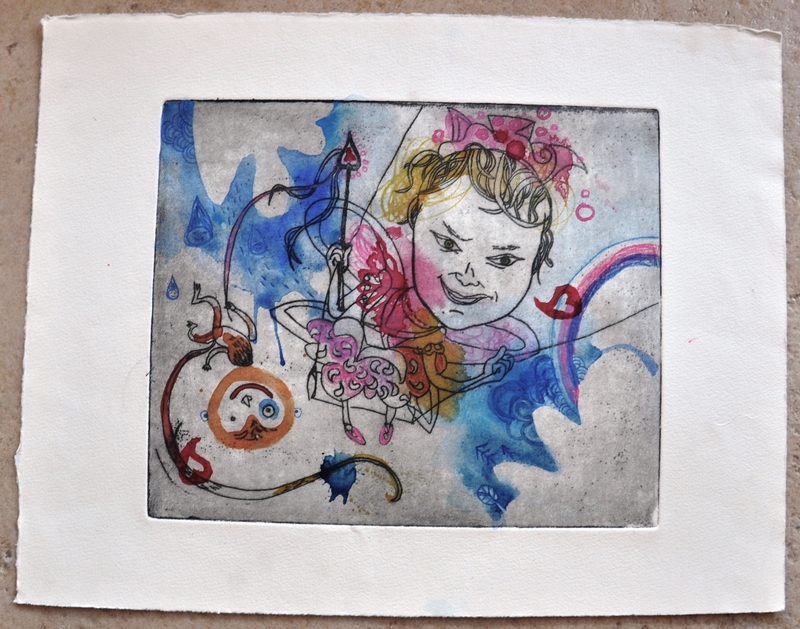 My etching course is ending this month. 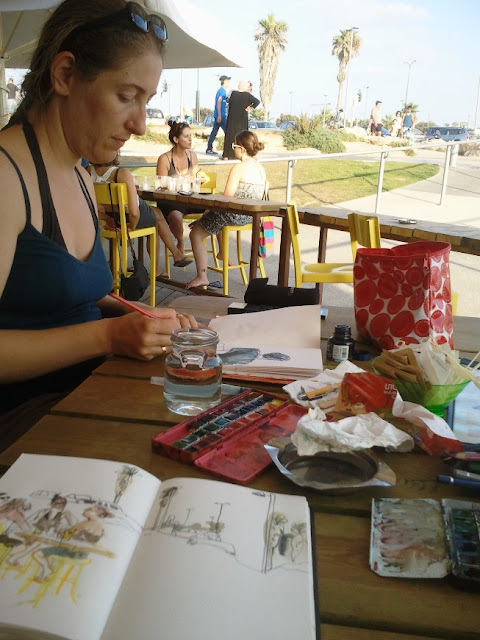 I enjoyed it very much, even if the process - slow, and planned ahead with always a bit unexpected results is opposite to my favorite art media - spontaneous and quick sketching. 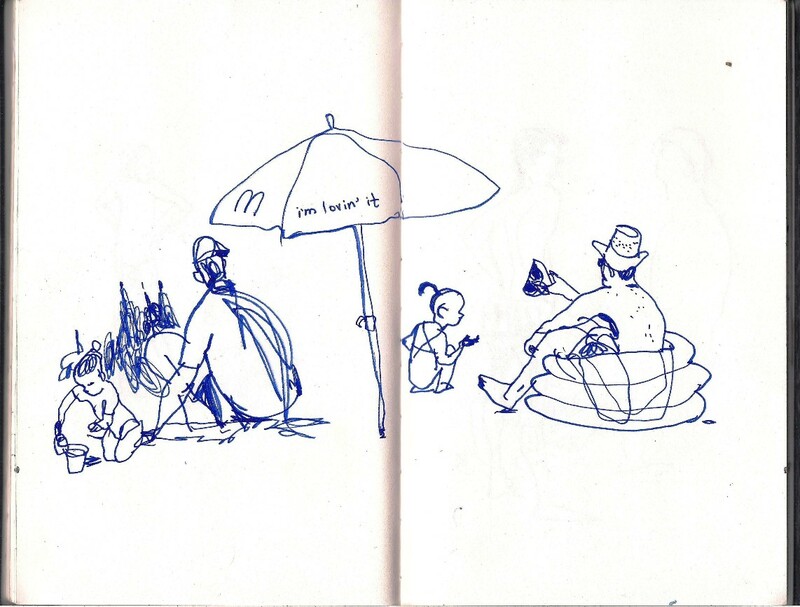 I'm already waiting for the next year! 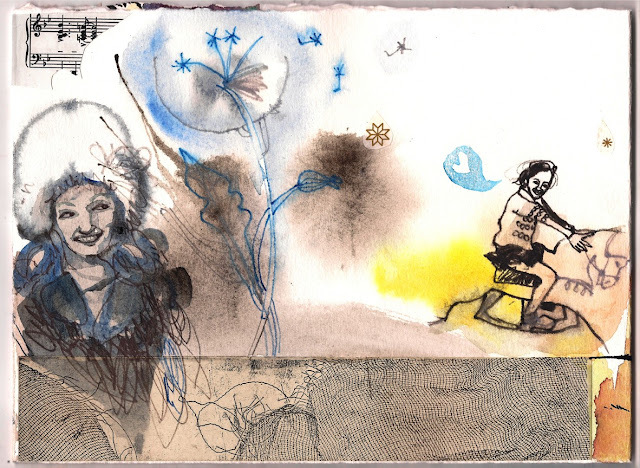 Here is my entry to my friend's Aurore illustrated song book. The idea is to make illustration of a song on long piece of paper folded like accordion by group of artists, where each one will draw on a spread (2 or 3 pages) then pass it on to the next and so on until the book is full. 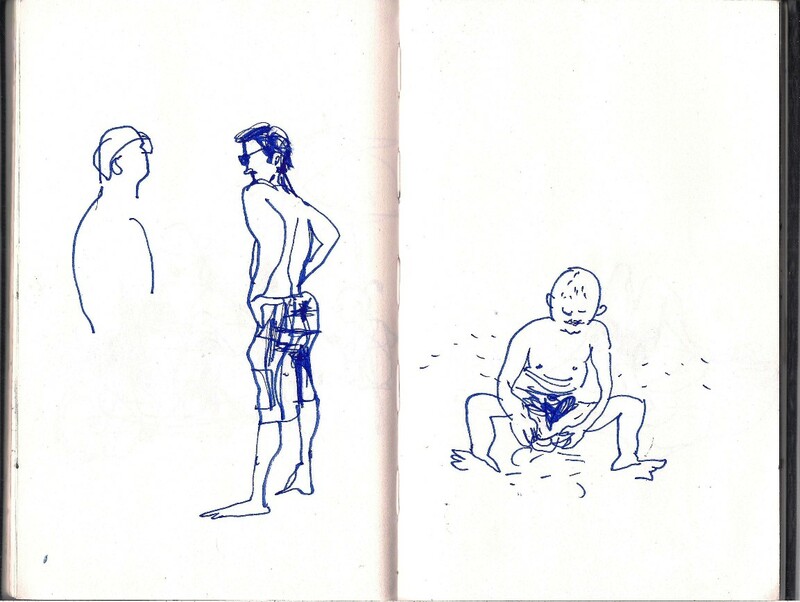 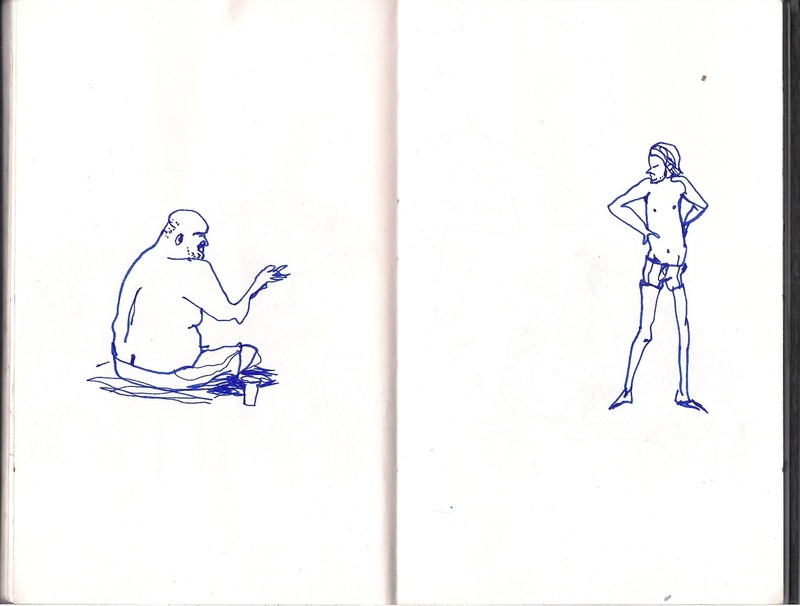 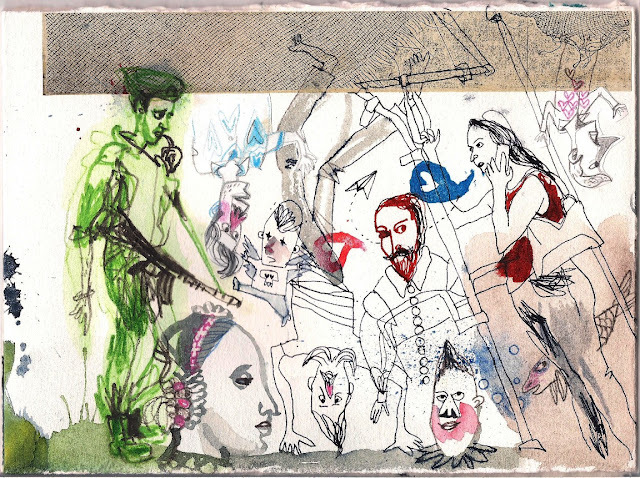 Group illustration is fun, because it cause interaction and influence and an unexpected result. 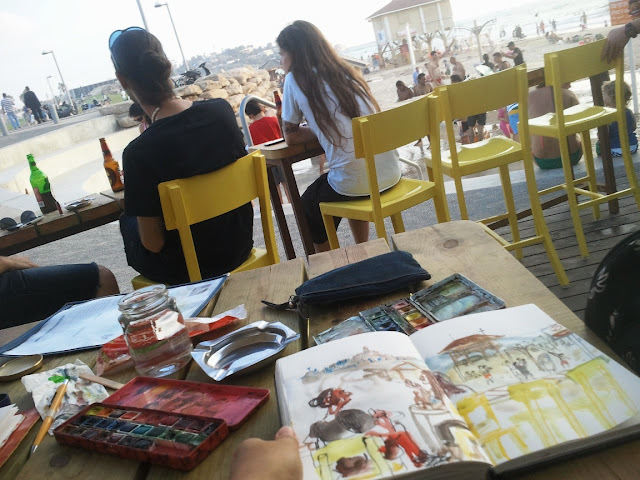 Promise to upload the finished book when it'll be done! 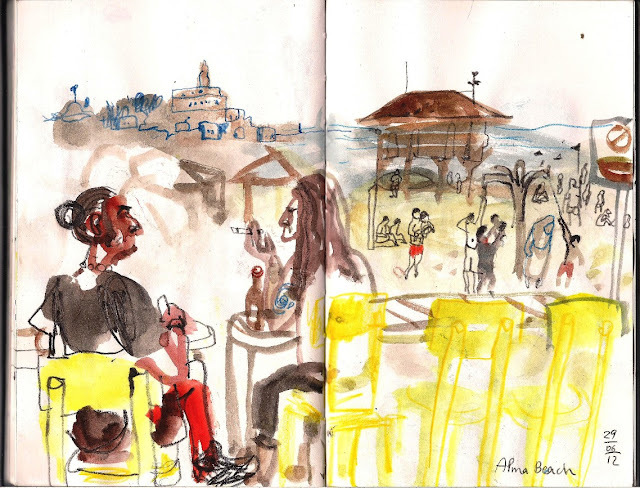 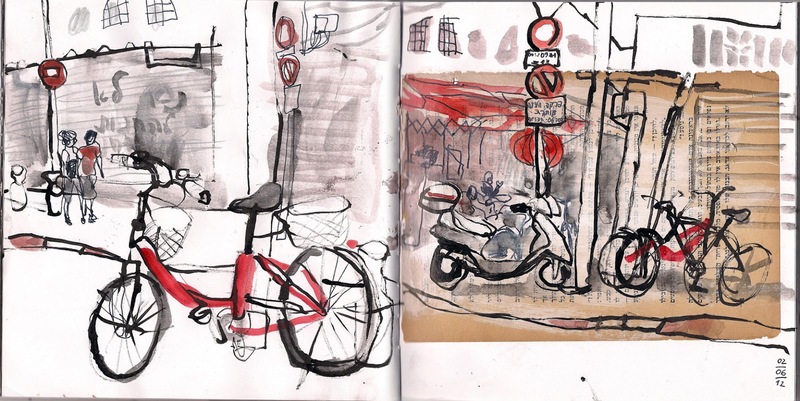 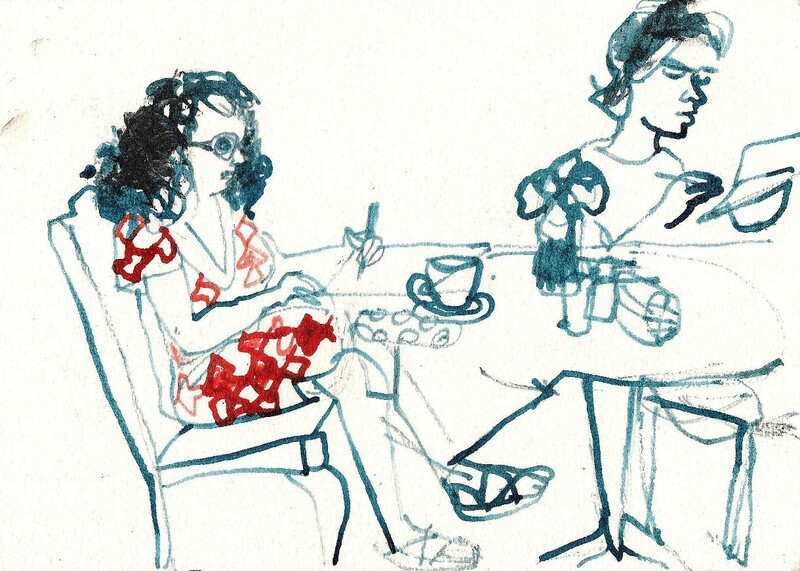 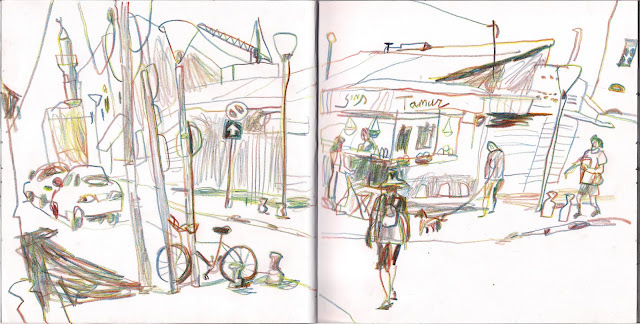 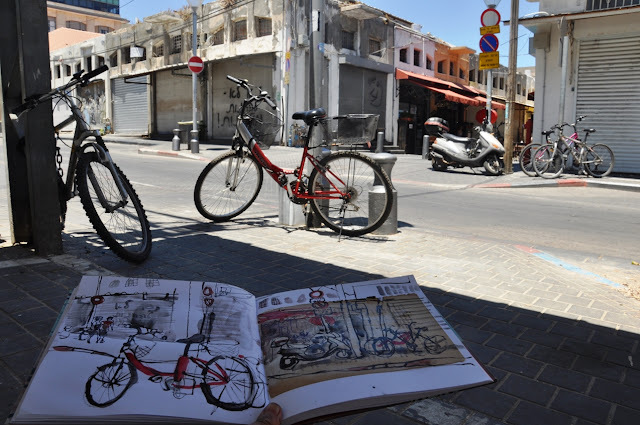 Last Saturday our USk group met at Yafo Flea Market area for the Sketchcrawl. 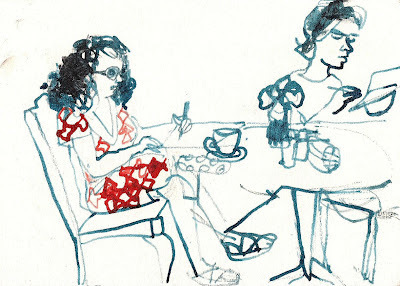 The market is close at Saturdays, but coffee shops are open, so it was very convenient for us, sketchers - streets aren't too crowded, but still there are a lot of people to sketch.